Charmosa Swimwear is the vision of award-winning Brazilian designer, Neide Hall. By embracing hand-dyed and intricate hand-made embellishments, each swimsuit is lovingly crafted and uniquely exotic. You can feel confident that the beauty of our swimwear is not just skin deep. We are a fair trade company that provides low income women in Brazil an opportunity to work from home to sustain their family. In addition, our material is not only the softest material available, it is also environmentally responsible, ultimately able to break down in a landfill. 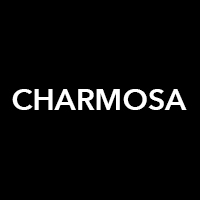 We're sure that the designs of Charmosa Swimwear will please your body and your mind.